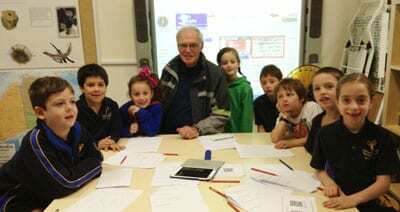 Bialik students are becoming techno- and media-savvy from as young as 5 years old. Their “Explore Committee” oversees an online news blog and the young students produce a Podcast each term, which is beamed world-wide. Ever on the hunt for interesting personalities to profile for their news blog, the students were excited to interview British visitor Terry Stowe, CEO of Radio JCom, a Jewish community radio station in Leeds, England. The students wondered if Terry was ’scared’ when he ‘talked to the world’. The answer was ‘Yes in the beginning but then you forget about it’ which sounded familiar to the young interviewers. Radio JCom is staffed by 40 volunteers and devotes air-time to articles about the Jewish community, Israel, festivals and celebrations. The Bialik ELC Podcast can be accessed at http://bialikelc.podbean.com/ or otherwise search for Bialik ELC in the podcast app on your ipad or iphone and subscribe to it.